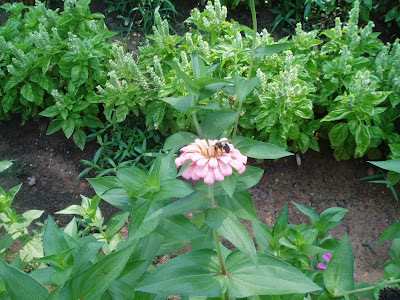 This morning there is constant motion all along the Zinnia, and Basil rows in the Kitchen Garden! 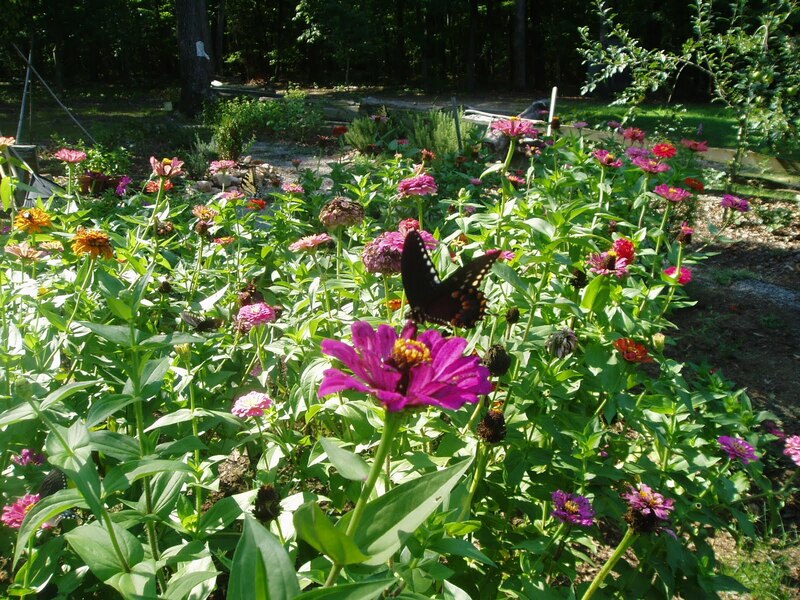 It is a lovely sight as the pollinators enjoy the nector of all the flowers in bloom! 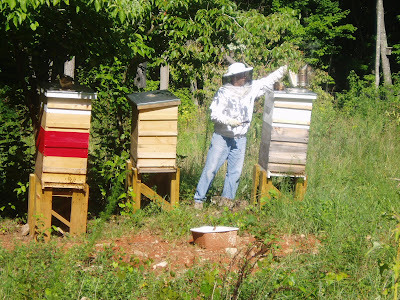 Don was out to check the 3 hives of honeybees in the garden. I was happy to hear they are doing well. The smell of pine smoke drifted out into the garden from the smokers. Lovely. I am grateful that the morning is cooler. 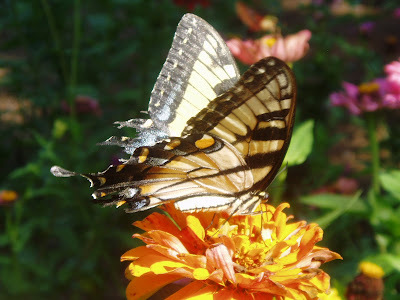 What a hot wave we have had here in NC. I was so relieved to see the rain yesterday. As if everything needed a good wash. All the dust has settled, and the morning seemed so much brighter.